Bring it on!! 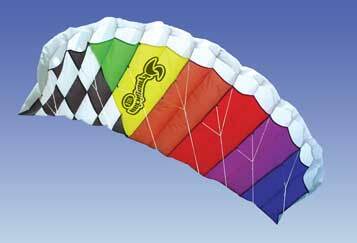 This great kite is soft with no spars to break. Generates good power and at the end of the day just rolls up into a pouch. Two line kite. Can also be flown on a bar.